The University of Oxford, which consists of 38 Colleges and 6 Permanent Private Halls, is one of the best universities in the world: It is currently ranked in 8th place in the University Review World Listings, in 3rd place by the THE, 5th best by the QS rankings, and 5th best globally by the USNews. The Oxford ranking is number 2 in the University Review top UK universities list. Similarly ranked colleges include University of Cambridge, University of St Andrews, London School of Economics, and University of Warwick. The tuition fees at Oxford vary between courses and whether one is considered as being from the UK or the EU for payment purposes or from overseas. For Bachelor’s degrees the cost for Home, Islands, and EU students is £9,000 per annum for all subjects. The tuition fees for overseas students are either £14,845 to £ 17,040 (Arts) or £21,855 (Sciences). Additionally, UGCert courses are also offered by the institution, these are typically £2,175 to £2,390 for home students and £4,085 for those from overseas. Further details on Fees and Funding can be found at http://www.ox.ac.uk/students/fees-funding/fees/rates. As the admissions process is quite complex it is easier to point you to these pages: Home students, and Overseas students for full details of how to apply and the exact requirements. A minimum of 1,400 in Critical Reading and Mathematics, and ideally over 700 in Writing. The combined SAT score must be at least 2,100. The minimum Composite ACT score required is 32 (out of 36). UK students should expect to gain A-level scores of between A*A*A and AAA (Subject dependent), or AAAAA to AAAAB if taking Scottish Highers. Those taking an International Baccalaureate should expect to gain a score of 38 to 40, again this is subject dependent. The University of Oxford is located in the city of the same name in England. It is the oldest university in England, being formed towards the end of the eleventh century in 1096. The University’s formal title is ‘The Chancellor, Masters and Scholars of the University of Oxford’. Photograph of one of the colleges of the University of Oxford by Hugo Pardo Kuklinski. As a collegiate university, oxford consists of 38 colleges and six private halls. Members of these colleges attend centralised departments to study. There are 11,772 undergraduate students and 9,850 postgraduate scholars at the university. The addition of other students brings the total number of people studying at Oxford to 22,116. The Chancellor is Lord Patton of Barnes. The school colours are Oxford blue, and it can trace its history back to 1096. The libraries at Oxford hold over eight million books; this makes it the second biggest library in the UK. The university of Oxford library consists of a core of four buildings, these are connected to each other by underground tunnels. Additionally many departments have there own more specialised libraries. 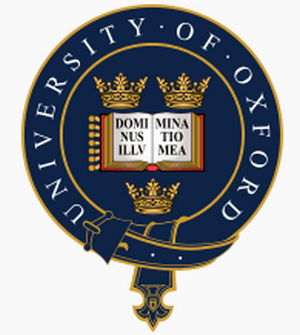 University of Oxford Motto – Dominus Illuminatio Mea (The Lord is my Light).